Gay Jervey has been working on a new entrance for Mosier. The old entrance was on private land so she worked out a deal with the Railroad to allow us to come in over their land. This has to be one of the most difficult parts of the Mosier project and Gay did it in style. 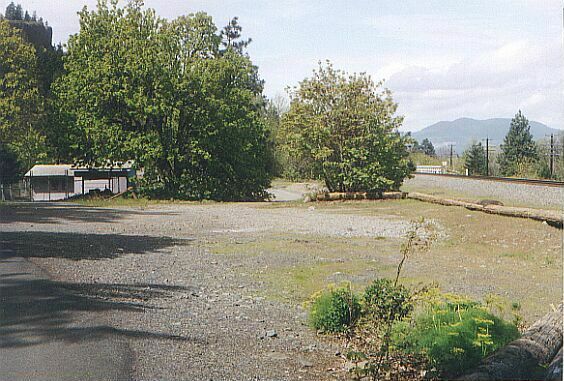 Old power line poles were put along the edge of the parking area by the Sewer plant to separate it from the Railroad tracks. The new entrance starts just North of the sewer plant gate and heads West. 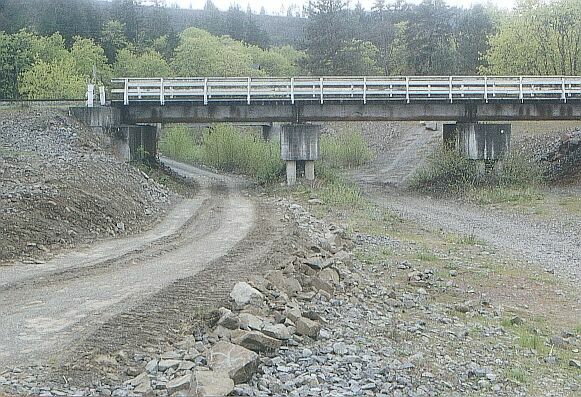 Here is a picture looking from Rock Creek East back towards the entrance. 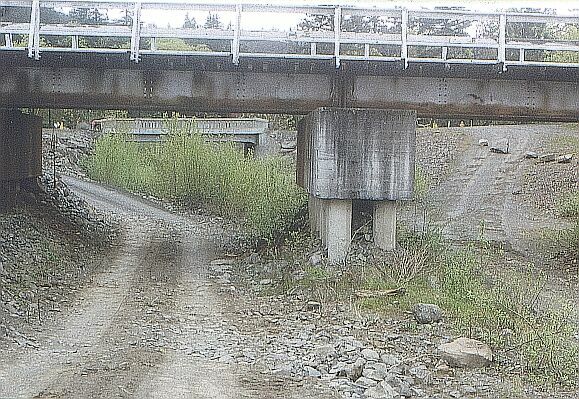 The new road goes under the East end of the Railroad Bridge. 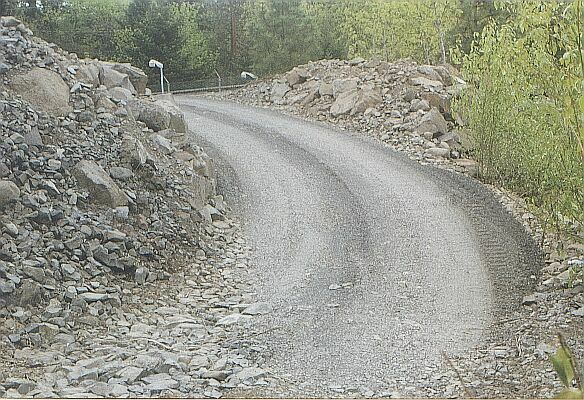 Notice that the old entrance has been blocked with rock. The old entrance will be removed later this year. The new road no longer crosses the creek, except during very high water, when no one should be driving down there anyway. 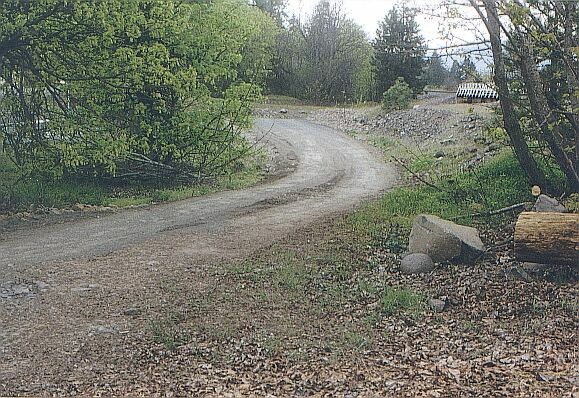 The large pile of gravel left over from the 1996 flood has been used to make a barrier along the Railroad tracks. 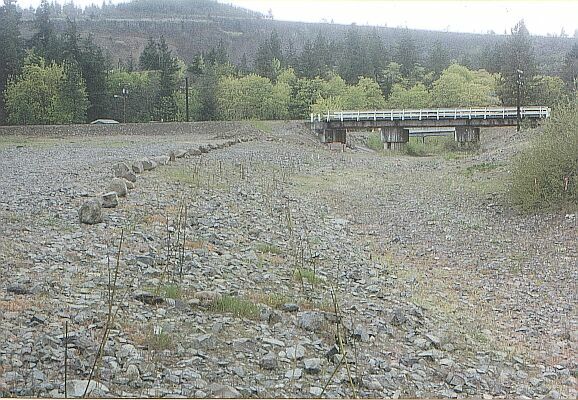 The Railroad requires that we build a barrier next to the tracks in exchange for using their land. This has added a large number of parking spots. 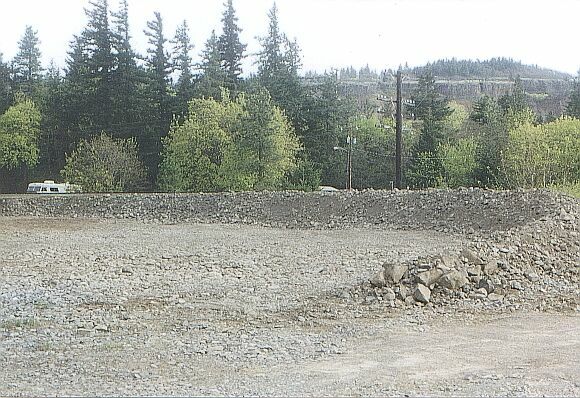 Large rocks have been placed along the edge of the creek to define the parking area. Willows have been planted on the bank of the Creek which should make this area look much nicer in years to come. Rock Creek windsurfers owe Gay Jervey a great big THANK YOU!!!! !